TIE-COAT PRIMER is highly resistant to penetrating topcoats, like lacquers, enamels, and two-component finishes. It sands very smoothly, as well. Try some on your next project..
Great adhesion to POR-15® without sanding. 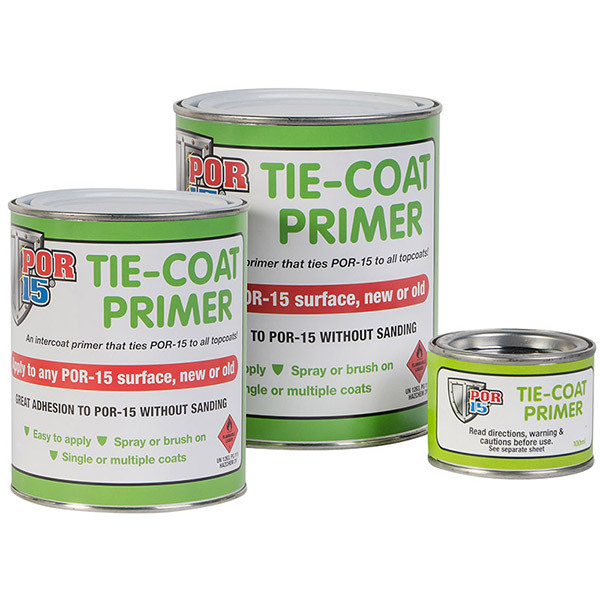 Prime and paint right over cured POR-15® with our new Tie-Coat primer. After many requests from customers, we have developed this very special interlocking primer for painting over the top of POR-15® without any need to rough up or degloss the surface. Just ensure the surface is free of any grease, oil, or dust.